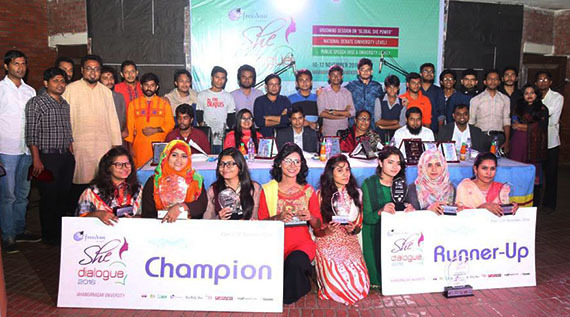 The Organization aims to develop and promote various skills of Youth and contribute to the Socio-Cultural Development of Bangladesh with the passage of time, humans have evolved from being primitive minded individuals to a state of highly sophisticated civilized and specialized beings through hard work and progressive thinking. This has led to the expansion of due to limitations of thinking falling away. The pioneers bringing such changes are youth. The young generations of today use their ideas positively for the betterment of the society and dream big. So, in order to fulfill such dreams we promise to aid progress and take the path to enlighten, thus leaving behind footsteps for coming generations to follow. Youth & Cultural Development (YCD),Bangladesh mainly works for the young generation, culture and tradition. The youth comprises of the 63% of the population of Bangladesh. According to demographers, Bangladesh has entered into a new demographic window. This is one of the criteria for being developed as a nation. The potential of the youths can be used as human resource only when guided correctly. That is why, we aim to involve them in different sectors from where they can not only earn but be an investment at both national and international level. This kind of program will help skill up those who wish to make a fortune in foreign countries as well as in his/her country. YCD,Bangladesh is a ladder through which such people can fulfill their desires. Tradition and culture are another part of YCD,Bangladesh. Bengali culture is the most enriched in the world. Rabindranath, Sarat Chandra, Kazi Nazrul Islam, Akhtaruzzaman Elias, Dr. Mohammad Shahidullah, Humayun Ahmed are immortal through their writing and enriched not only the literature of our country but of the whole world. In different part of the country we see various colors of cultural activities such as folk songs, puppet show, vaudeville, theater, bioscope, traditional food festival and different types of village fair. But now they are at high risk because we failed to approach in front of the young generation. So YCD,Bangladesh wants to make a revolution in the culture and tradition as the youth are the hub of the population wheel of the society.